One of DFGUI's cool features is the ability to inline-embed images in a dfLabel to avoid having separate sprites layered on top of the dfLabel. To embed sprites in a dfLabel, you must first make sure that the Process Markup checkbox (Label Properties->Formatting) is ticked. The sprite that is specified in the sprite tag (in my case it's "xbox_a") is fetched from the Atlas that is specified on the dfLabel. This video demonstrates a root-motion driven, 2D Freeform Directional Blend Tree for locomotive states in Unity 3D. Using such a blend tree, a character can aim and walk in different directions independently and simultaneously. 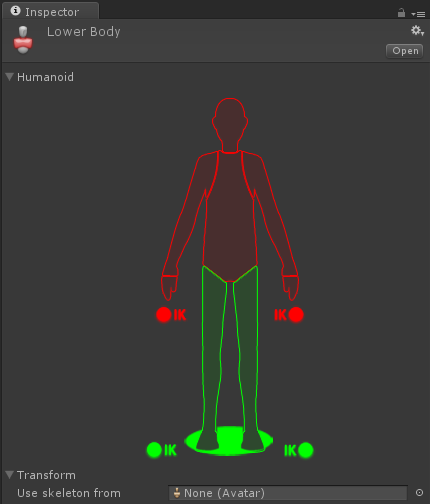 With a gamepad, I'm moving the character with the left stick and rotating with the right stick. This locomotive blend tree exists on an Animator Layer called LowerBody which has has an Avatar Mask applied with only the legs selected (including IK). By having layers representing different sections of the body, I can combine upper-body animations with lower-body animations. In my case, the character can walk/run and aim at the same time using a single animation for AIMING (which exists on the upper-body layer). 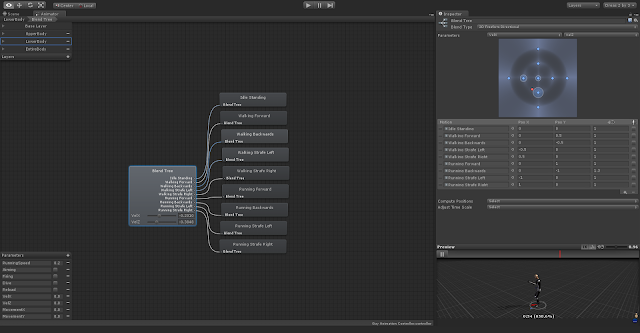 I am controlling the blend tree with two parameters representing a direction vector: VelX and VelZ. This direction vector determines the locomotive state of the character i.e. which direction his legs should be moving. If (VelX, VelZ) is (0, 1), the character runs forward in a straight line. If (VelX, VelZ) is (-1, 0.5), the character walks forward while strafing to the left. The soldier model and animations are from Mixamo. For my current project, I wrote a simple class to keep track of my cooldowns. So for example, my character can fire every 2 seconds, jump every 4 seconds and sprint every 3.142 seconds; and this class takes care of the cooldown timers for me. 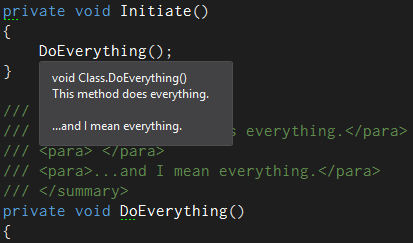 With a tip from Petr Kolda (Facebook), I've now modified the class to use Time.time instead of DateTime.Now. 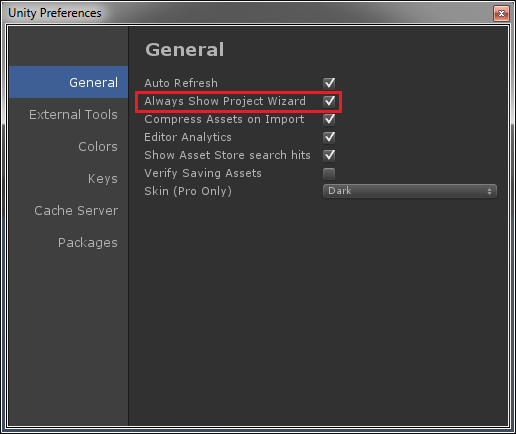 In Unity 4.3, native 2D tools were introduced in Unity 3D. 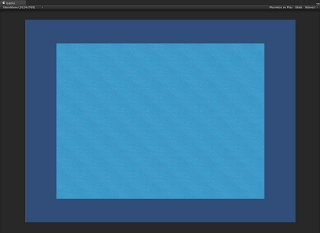 So, armed with a bunch of 1024x768 sprites from an old game I wrote, I decided to try out the new 2D tools by trying to port the old game to Unity 2D. Notice how even though my game resolution is set to 1024x768 (top corner) and my water image is 1024x768 and centered on the screen, the sprite (SpriteRenderer) doesn't fill the screen as it should. 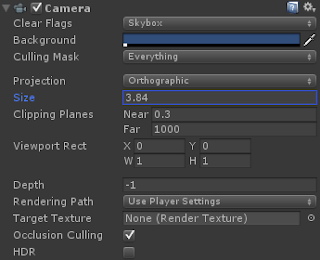 The way to fix this is by changing the Size of your orthographic Camera. By default, Pixels To Units is set to 100. Now I know that Unity already has its own Invoke method but Unity's method only accepts a string specifying the method name. I wrote this method to be able to specify an anonymous lambda instead of the string. Note that the method's return type is IEnumerator since it yields, therefore we must invoke it with StartCoroutine. Fairly simple; returns a random enum value from an enum type. // Now we have a random enemy model type. I normally use this method to get a random spawnpoint within my spawn area represented with a BoxCollider (set to a trigger of course). Notice how I hardcode Y to 0 because the Y position is irrelevant to me since that is set by code outside of this method. 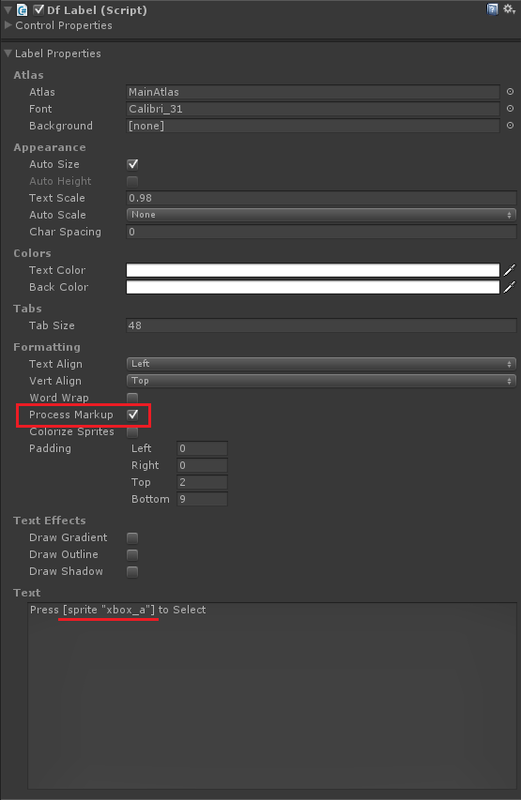 Starting with a fairly trivial method; setting the weight of 'all' the layers of an Animator. 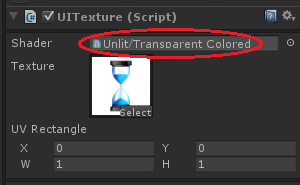 When a game starts, Unity by default sets all the layers of the Animators' Controllers to 0. Unfortunately, the method needs to be supplied with the number of layers that the Animator contains because I haven't yet found a way how to get the number of layers programmatically. 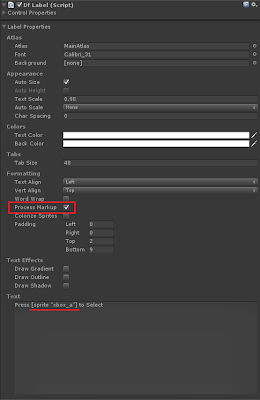 I use this method at the start of a game to set the weight of all the layers to 1. For the game project that I'm currently working on, I needed to find an easy way to color individual characters in the text of an NGUI UILabel. Fortunately, the solution is pretty simple. When the supportEncoding boolean field on a UILabel is set to true, the text supports color encoding in the [RRGGBB] format. The reason I needed to do this was because we want the leading zeros in the Score UILabel to have a different colour than the actual score. And for that, I wrote this neat little method to format my current score to a string with a predefined number of leading zeros and then color those leading zeros independent from the main colour of the label text. 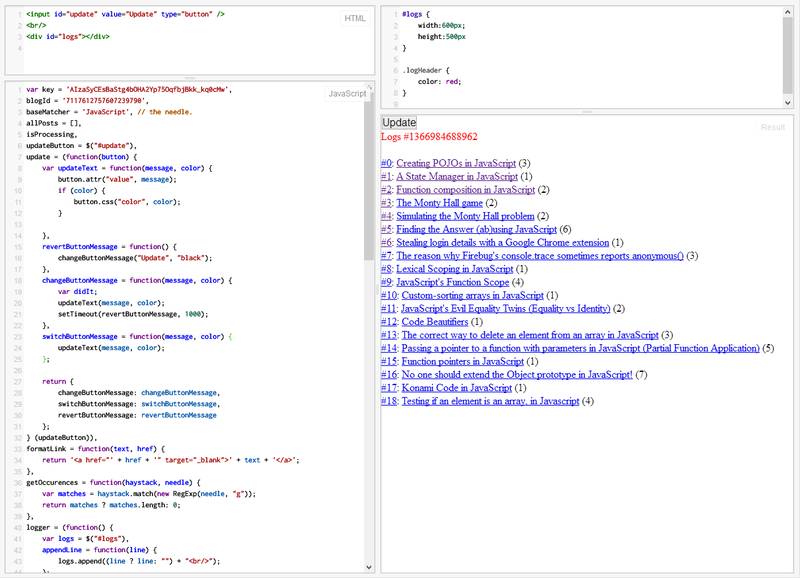 A couple of months ago I wanted to switch the syntax highlighter I used to have on this blog to SunlightJS. Thing is though, I didn't want to go through every individual post I had written before and check whether they are using the (old) syntax highlighter to update their HTML markup. Another problem was that the only way I would be able to truly know if a particular post is using the old syntax highlighter was by going through it's HTML content and determine whether the post currently has a tag like the following: <pre class="
The issue here is that the normal Google driven searchbox packaged with Blogger (the one you see on the right hand side) does not search through a posts' HTML content but rather through its textual content only which means it was useless for my task. Because of this, I decided to write a script to semi-automate this task for me. The reason I say that the script semi-automates the job is because although I wanted it to show me all the posts in which I had used the old highlighter before, I could not risk making it to update the blog post automatically to use the new syntax highlighter because that would have involved HTML parsing and it was not worth the hassle. Besides, I didn't want to risk ruining my old posts because of a script fuckup. Here's a demo of the script in action: http://jsfiddle.net/ydtuc/77/. From the live demo (or the screenshot), you can see the output of the script in the bottom right pane. The script nicely formats each of the returned matches in a way that if I click on the #number of the post, it would take me to the actual blog post and clicking on the name of the post takes me to the Blogger editor for that current post so that I can easily update it. The number in parentheses next to the title of the post is the total number of occurrences the needle appears in the haystack. Here is a common scenario I'm commonly finding myself into: changing a UITexture's opacity using its parent UIPanel's alpha field. The first time I tried this out, I couldn't get it to work. 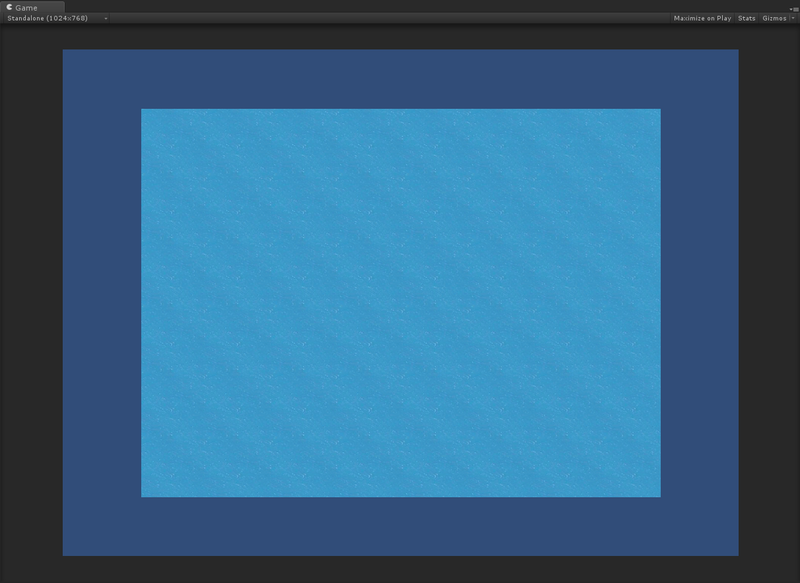 I was changing the opacity of the UIPanel using the alpha field but the UITexture inside the panel wasn't fading. I decided that the game I'm currently working on is going to be tied to Kongregate, and since I'm doing that, might as well try to use as many features of the API as I can. One of the features I'm trying to integrate in my game is the ability to render a Kongregate user's avatar in the game itself. For this tutorial, I will be using Kongregate's JSON REST API to fetch user data. After skimming through the Kongregate API documentation, I found the page about the user-info REST call. The url for a user-info call is formatted as follows: http://www.kongregate.com/api/user_info.json?username=<username> where username is obviously the username for the user account you're searching for. Getting the username of the current Kongregate logged-in user is beyond the scope of this post (TODO: maybe in another one), so for this code I'm assuming you already have it. // And now we have the texture! Notice that in the above code, to build the url of the REST call, I used Kongregate's relative url: "/api/user-info.json...". This error is thrown when reading the text field of the WWW instance (get_text). So be very careful about that when doing the REST calls; always use relative urls! ...and this of course works because the game is hosted on http://www.kongregate.com. And yet again, here's another perfect example for using the T4 code generation toolkit in Visual Studio. For a recent project, I wanted to use the Tuple class provided in the .NET Framework...problem was, I was stuck with .NET 3.5 and the Tuple class was introduced in version 4 of the framework. So, instead of writing a single Tuple class by hand (which would have been very trivial to do), I decided to write a T4 template which would generate all the Tuple classes I needed automatically. The template itself is very trivial and the number of Tuple classes it generates is dependent on the value that I specify in the max variable at the top of the template. For each of the Tuple classes the template generates, it creates a contructor which accepts all of the properties that the tuple will contain and also the actual properties that will be accessed from the outside. The simplest way on how to include |absolute value| bars in LaTeX is to use the this notation: \left| and \right|. Since I recently decided to try my hand at CIL by writing assemblies by hand, I'm now writing this post where I will list down a couple of basic CIL routines. I am of course primarily writing this post for myself so that future me will have a reference if he (I?) decides to do something with it again. 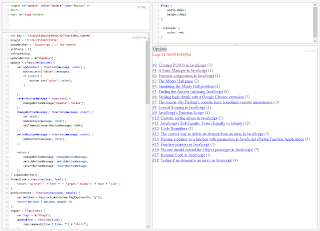 This is a quick post on how to insert a line break for XML documentation comments in C#. To insert the non breaking space, press ALT + 255 (from the numeric keypad). I recently had a very frustrating issue with Vim where it was inserting a line break automatically for me whenever a line exceeded the 80 character mark. Maximum width of text that is being inserted. A longer line will be broken after white space to get this width. A zero value disables this.